In July 2014, Zimbra acquired a company called Mezeo. The acquisition included the file sync and share technology that we refer to as Zimbra Sync and Share. Over the last year, Zimbra conducted extensive research and beta testing in advance of making the product available to the public. Unfortunately, feedback from testers was not what we had hoped. And, the market for file sharing software has consolidated in recent months. For both of these reasons, Zimbra is announcing that it is discontinuing Zimbra Sync and Share immediately. 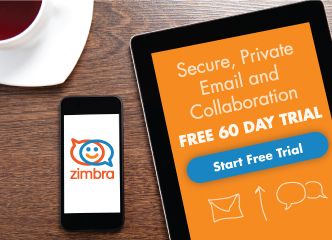 Rather than continue to invest in Zimbra Sync and Share, Zimbra has decided to look for opportunities to enhance the file sharing functionality (briefcase) in Zimbra Collaboration instead. While Zimbra Sync and Share will not move forward as a standalone product, we plan to investigate how Mezeo’s cloud storage and secure sharing technology may be used to improve briefcase. No date has been set yet, but we anticipate that the earliest timeframe would be Zimbra Collaboration 9.5 or 10.0. The decision to discontinue Zimbra Sync and Share wasn’t an easy one. And, we apologize for any inconvenience that this may have caused. We are committed to being better. If you have questions, please contact your account manager or leave a comment. We want to hear from you. A little frivolous approach, if we expect the stability of our env. that Zibra is frivolous and is not suitable for large applications in business. The story of failed doc sharing in Zimbra continuous. Over Years all promises of a integrated/working doc sharing haven’t fulfilled. This goes back for years regardless who owns the Zimbra suite. Would be great to see some success here. Hi Holger, you have right. The Briefcase is still indeed a really useful tool to some scenarios and some cases, with the new High Fidelity Document Preview it’s also much more useful. What I really want to see in the Briefcase is a real integration with all OS, and Mobile devices using Applications, like OwnCloud for example. But also I think that will be a win-win have the proper integration with all Sync & Share Tools out there, so have the proper Zimlets included to have integration with Dropbox, Google Drive, Microsoft OneDrive, Amazon S3, of course OwnCloud, etc. Right now, some of this Zimlets are already out there, but this needs to be adopted by the own Zimbra package and offer it in a easy way.